The initial consultation took place during March and April 2017 when residents, businesses, community groups, stakeholders and visitors were asked for their views about Penrith. We held a stakeholder event on 15th March for invited organisations and community groups in Penrith to start gathering information. 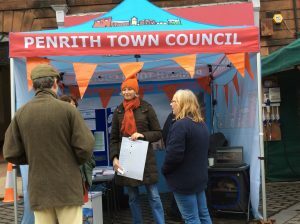 We then had a stall at Penrith Goes Orange on 18 March 2017 and held drop in sessions in the Parish Rooms on Saturday 1st April and 29th April. 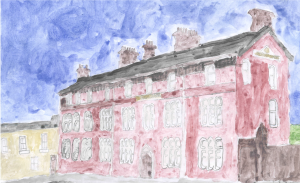 We gave out numerous copies of the questionnaire and had hard copies available in the office, from the Library, on our social media platforms and on Survey Monkey. Thank you to everyone who came to see us and gave us their views. We received lots of completed questionnaires, cards and ideas from these events, on line, from the Library, in the post and from schools.